On the way with the trendy four-wheeled motorbikes. 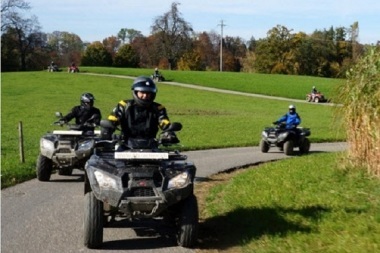 Enjoy the most beautiful quad bike tours on Lake Constance. Choose between taster and sightseeing tour or experience the off-road adrenaline kick. Let the experienced guides teach you about the world of quad biking and start the first laps on the area in Arbon. On this tour, which is suitable for beginners, you will learn about the technique of the quad as well as the beautiful canton of Thurgau on four wheels. You mainly drive on secondary roads. Riding the quads is fun and a pleasure. The 3-HourSieghtseeing-Tour allows for a slightly larger radius around Arbon and is particularly suitable for beginners and experienced quad riders. After the technical instruction you drive the Thurgau on secondary roads and some gravel paths. If you're looking for the extra adrenaline kick, we recommend the offroad piste. 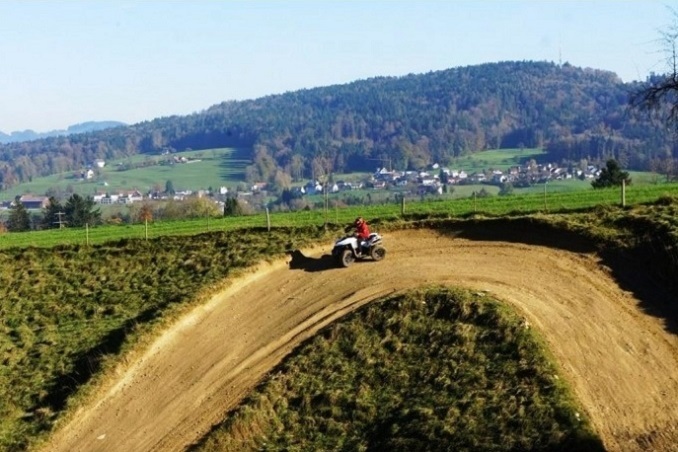 On the small, but no less demanding motocross track, even quad riders are allowed to let the hell out. This experience is not a normal quad tour and can not be booked in addition to another tour. However, the use of the slope is reserved for motocross riders on Saturday afternoon. The weather has to be right. Should it have been too rainy in the past few days, this spectacle will not take place. The two-hour off-road fun costs CHF 290.00. Valid driving licence in category A, A1 or B (must bring this with you). 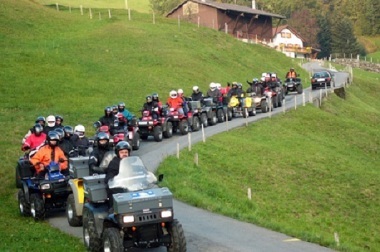 All ATV are insured with a deductible of CHF 2000.00 fully comprehensive. In the event of a claim, the undersigned is liable for this deductible and any loss of bonus. Casual clothing, windproof jacket, sturdy shoes, possibly also motorbike clothing. Ski suits have proven to be effective for the winter (worn under the overall).